Here is a great use for the garlic scape pesto from my last post. This is my idea of the perfect lunch, quick healthy and tasty. I have to confess that I love to eat…a lot. Big salads are my way of stuffing my face to my hearts content without feeling like I have to run and spend extra time at the gym. Salads are a way to eat a large quantity of food and big flavor with minimal calories and guilt. 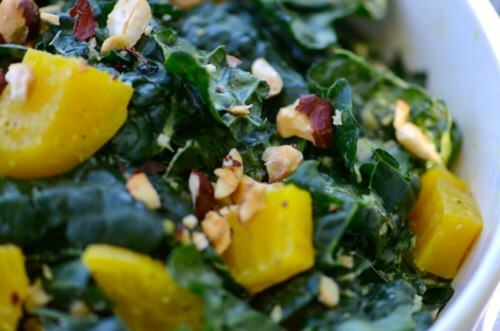 This dressing is delicious and it goes beautifully with the kale. 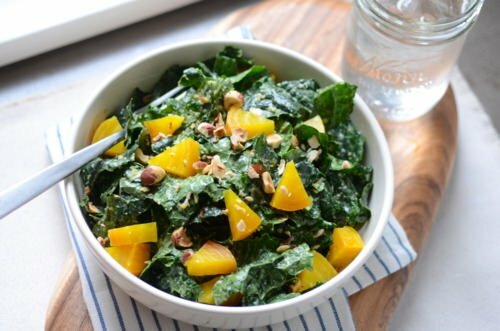 Nutritionally, kale can be considered a superfood, it’s high in fiber, antioxidants and is an excellent source of calcium, magnesium and vitamins A, B6, C and K. If you’ve never tried it raw in a salad this is a great way to start. 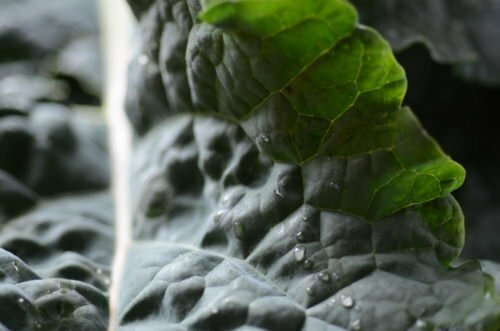 Kale can be slightly tough and hard to chew and this dressing really helps to tenderize the leaves. 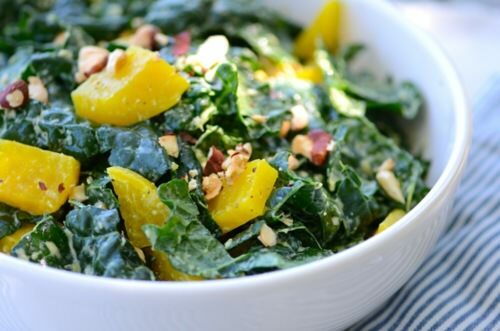 This is a very easy salad to adapt for different tastes. If you don’t want to take the time to roast the beets it’s delicious with raw shredded beets or carrots. For a non-vegan version you can add some grilled chicken and parmesan cheese. If you can’t find garlic scapes or don’t want to make the pesto, you can substitute 1/4 cup of hazelnuts, 1/2 cup fresh herbs (i like to use a combination of basil and parsley) and 1-2 garlic cloves instead of the pesto. Combine all the ingredients for the dressing in a blender, puree until smooth and check for seasoning. You may need to adjust the amount of lemon juice or salt if the flavors aren’t popping. 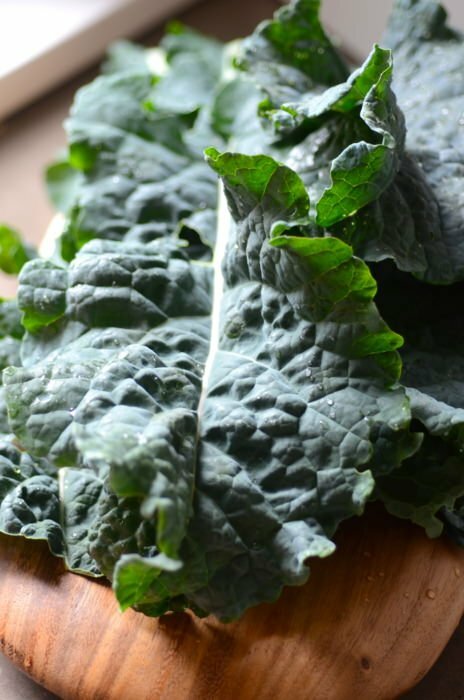 Remove the inner rib of the kale, tear into 1-inch pieces and place in a large bowl. 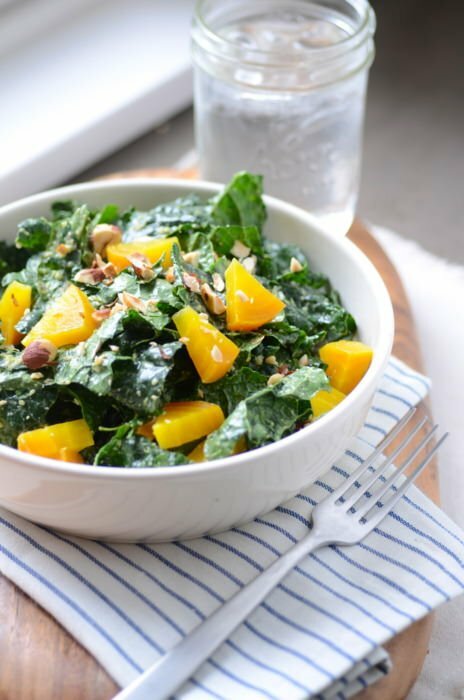 Add ¼ cup of the dressing to the salad then knead the salad with your fingers to really incorporate the dressing into the kale, it’s helps break down the leaves and makes them more tender. Add the beets and half the hazelnuts to the bowl and toss gently to incorporate. Garnish with the remaining hazelnuts and serve. Pre-heat the oven to 375 degrees. Place the beets on a large piece of aluminum foil and sprinkle with a drizzle of olive oil, salt and pepper and fold the foil into a packet. Roast the beets for 25-50 minutes depending on their size. Let them cool slightly and then peel the skins off with your fingers or a small paring knife. I like to roast a few extra since they do take awhile. Roasted beets are delicious tossed with a little olive oil and a splash of vinegar.